Price is 12% below the initial Lego retail price, a € 1.24 discount! This comes down to 7.17 cent per brick. The The Flash™ (41598) Lego set is no longer directly available from the sites below. However, 3rd party partners of these sites might still have the set available. 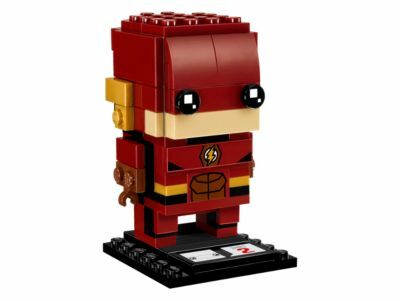 Alternate description Live life in the fast lane with LEGO® BrickHeadz The Flash™! Buildable The Flash™ LEGO® BrickHeadz construction character features authentic details from the blockbuster Justice League movie, including BrickHeadz eyes, buildable golden ear wings and a lightning chest logo. Have fun growing your LEGO® BrickHeadz collection with other super heroes from the blockbuster Justice League movie, and many more from your favorite films, TV series, games and comics. This cool construction character is suitable for ages 10+.